Step 1. Our method includes some beforehand preparation. Knowing that you will go into a foreign town or any remote place without Internet, take your time back home and download free Google Maps app from the App Store. Step 2. 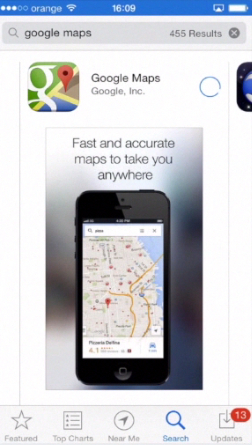 Launch Google Maps app from your iPhone or iPad. Step 3. Find the map area of your interest. Zoom in or out until you have a full view on your screen. Step 5. Now go to the home screen and disable Internet connection from the Control Center of your iPhone. 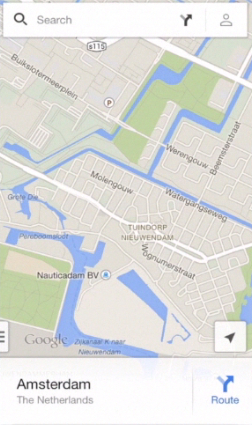 Access again the Google Maps app and cached part of the map – it now opens even offline. You can zoom in and out confident that all the data that you need exists on the portion that you’ve selected. Attention! 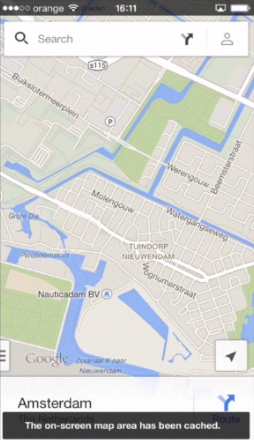 On iOS 7, using the same method in a browser (instead of the Google Maps app) will not work.